Generally speaking, and subject to investment charges and performance, the more you save and the earlier you start saving the better shape your finances are going to be in when you need to draw on them. So why is it then that many of us are reluctant to put money aside for a rainy day, a specific objective, or – perhaps most importantly – our retirement? 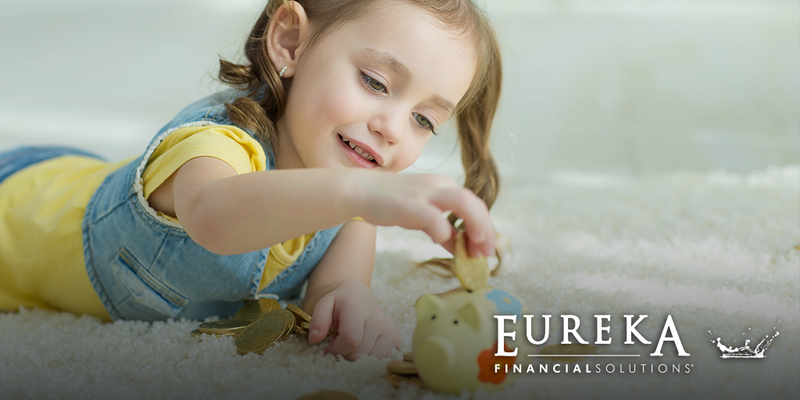 Helping your child understand the value of money from an early age could help them develop a healthy savings habit that sets them on a good footing for life. You could do this by dividing money into different pots to help your child visualise where their money is going and understand that, when it’s gone, it’s gone. Use two jam jars, one labelled ‘Spend now’ and one ‘Save for later’. Talk to your child about how they would like to divide their pocket money or any cash gifts they receive between the two jars. If they keep their savings jar topped up, they can see they have rainy day money if they need it when their ‘spend now’ jar is empty. There are also online tools and savings apps, like goHenry, which allow you to load up pocket money and visually help your child to track their spending. When you have spare cash it’s lovely to spend it on a treat – after all, you don’t get instant gratification from saving for the future. But with many of us enjoying long, hopefully healthy retirements thanks to advances in medical science, it’s all the more important to invest now so that you have more time to build up a sufficient pension pot. According to Which? every household needs a pension pot of at least £370,000 to feel comfortable in retirement – a target which could put people off from saving anything into their pension when they should be doing the exact opposite. What level of risk are you prepared to accept and what potential level of loss can your finances tolerate? Which types of investments we think you should consider in light of your objectives and risk profile? What the most tax-efficient way of holding these investments would be? How your portfolio should be managed on an ongoing basis? Think about what you want to do with your money and set clear achievable goals with milestones that make it feel like you’re winning but will benefit you in the longer-term. We offer a professional and personal approach to your savings and investments, not only in the initial design of your strategy, but also over the long-term. Please talk to us to find out more.